In just ten years since arriving in the Big Apple, internationally acclaimed Yotam Silberstein has earned his place among the jazz elite by Recording and Performing with such luminaries as James Moody, The Heath Brothers, Paquito D' Rivera, Monty Alexander, Christian McBride, John Patitucci, Roy Hargrove, David Sanborn, Marcus Miller, to only name a few. 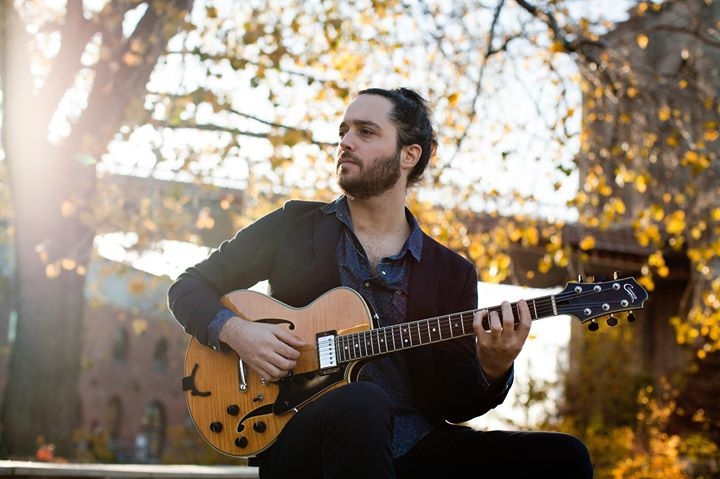 As artistically gifted as he is technically proficient, Silberstein is featured on a wide variety of critically acclaimed releases including 'Resonance' and 'Brasil' on the Jazz Legacy Productions label and Monty Alexander's Grammy-nominated 'Harlem-Kingston Express Live!' As well as David Sanborn and Marcus Miller's new album 'Time and The River (Sony 2015) And John Patitucci's new trio album 'Irmaos De Fe' In addition, Yotam Silberstein has toured as a leader in major clubs and festivals in the US, Europe, South America, Japan and Asia. Yotam is also the winner of the Sundance Time Warner award for film music.